In fall 2013, I and three others worked with the Santa Cruz Children's Museum of Discovery to create a fun and educational exhibit on fungi. 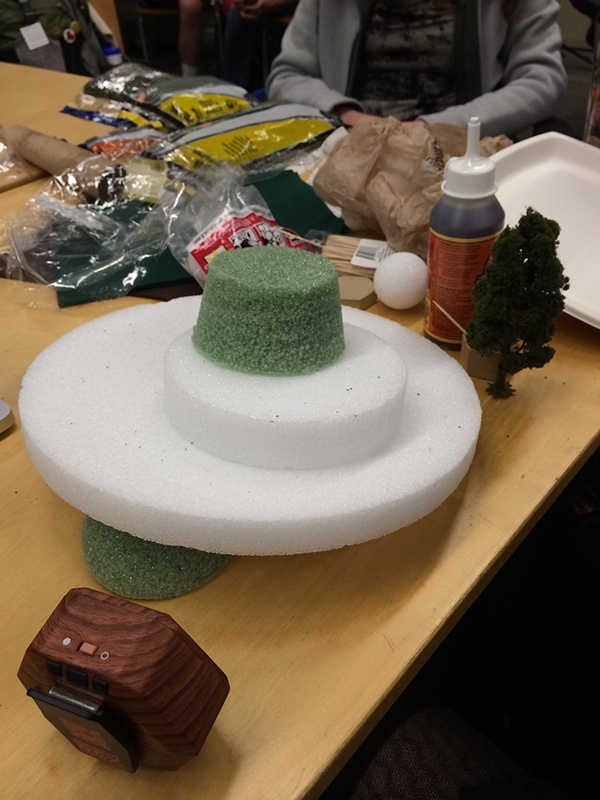 Our design process included reading up on both museums and fungi, as well as visiting the Habitot Museum in Downtown Berkeley to observe children in an interactive museum environment. Throughout this process, we iterated on our ideas of what the museum exhibit should include and how it should convey the material. Some ideas at the early stages included large touch-screen walls and giant foam mushrooms. 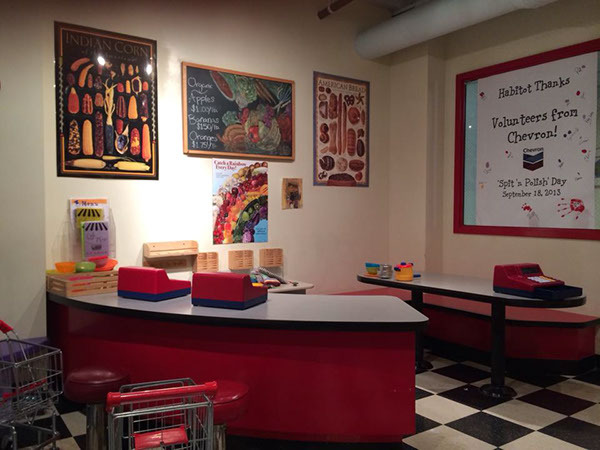 At Habitot, we saw children playing in a "grocery store" where they could ring up food for their parents and imitate actions they've seen outside the museum. In our fungi exhibit, we hope to take something familiar to children - being outdoors - and teach them things in that same environment. Once beyond the museum walls, children will be able to point out what they've learned while simply playing outside. On the smallest scale, we hope to spark children's curiosity about the natural world before them. Toward the middle of the semester, we decided to narrow our focus into answering questions, which we called "Learning Objectives." From there we considered the senses we wanted to engage in answering these questions. It was then that we realized we wanted to create an exhibit prototype that brought the outside world into the museum. Our design features a two story exhibit that slopes from one floor to the next. Visitors begin "underground," getting an up close view of the roots and dirt that mycelium thrives on. 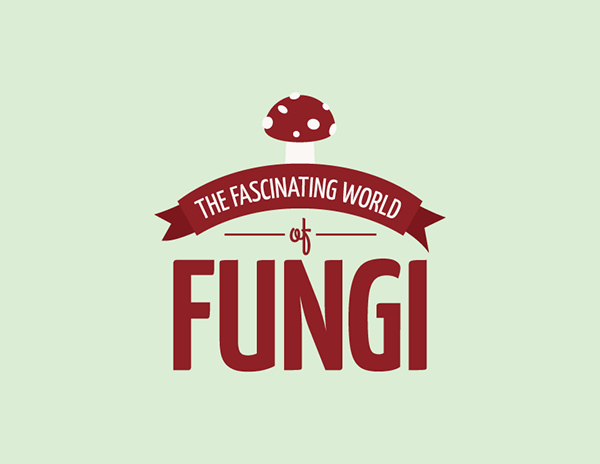 As visitors journey through the exhibit, they move from underground to above ground, all the while gaining an understanding of what fungi is and its importance to themselves and the environment. There will be interactive activities throughout the journey. Once visitors reach the grass and trees of the second story, they see the mushrooms they know, and learn about the many types that have a place in the world - including mushrooms specific to Santa Cruz, so children can relate what they learn even more to their own lives. 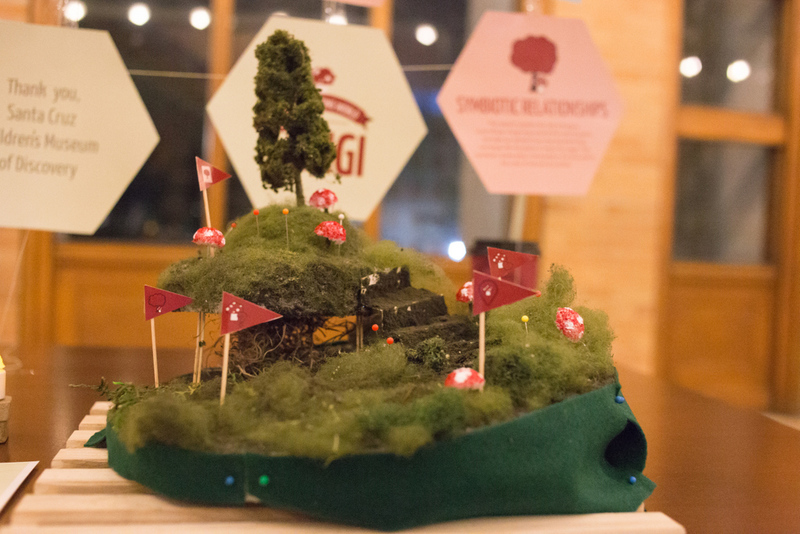 At the highest point in the exhibit is the Storytelling Tree, where children can gather round in a circle known as a "fairy ring" and listen to stories that are reminiscent of fungal folklore of the past. But watch for the point in the story that calls for rain - because that's when all the mushrooms will light up and glow around the second floor! For more images, check out our Behance portfolio piece. To read about our collaboration with the museum, check out their blog post.